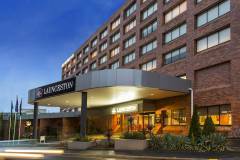 The Mercure Launceston is conveniently located in the city centre, 15 minutes drive from the airport and 2 minutes walk from the main shopping precinct. The hotel features 116 rooms, a restaurant specialising in local produce and a cocktail bar. Nearby local attractions include the James Boag Brewery, Launceston Seaport, Penny Royal World and Cataract Gorge.